As its name implies, the Ski Boot & Gear Bag will carry your ski boots in the bottom compartment and ski-related gear in the top compartment and end pockets. 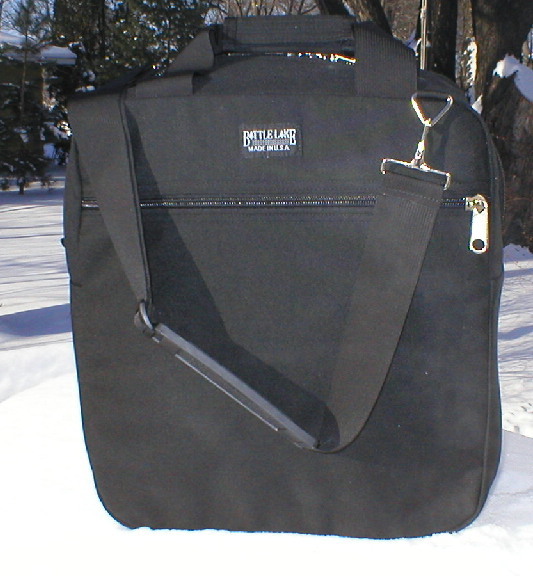 This bag isn’t limited to ski season; we have had people use it for fishing (waders in the bottom compartment), general travel and hunting trips. 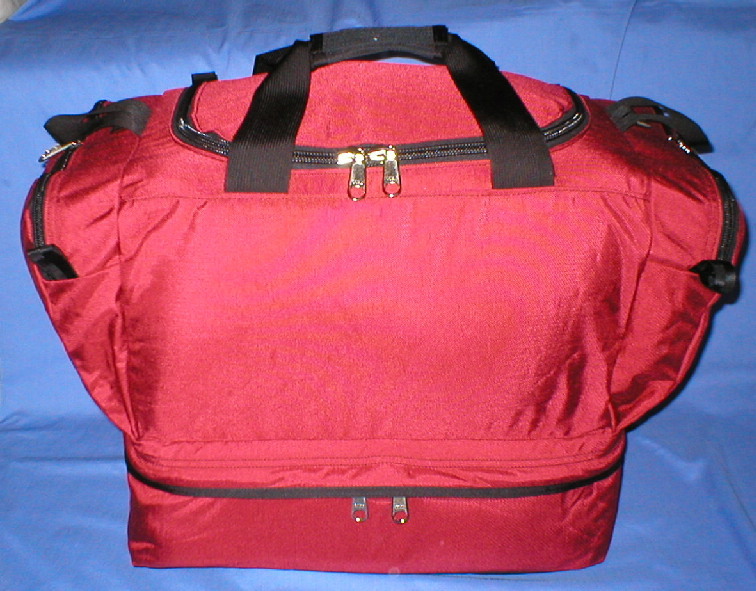 Upper compartment with full-access, U-zipper. 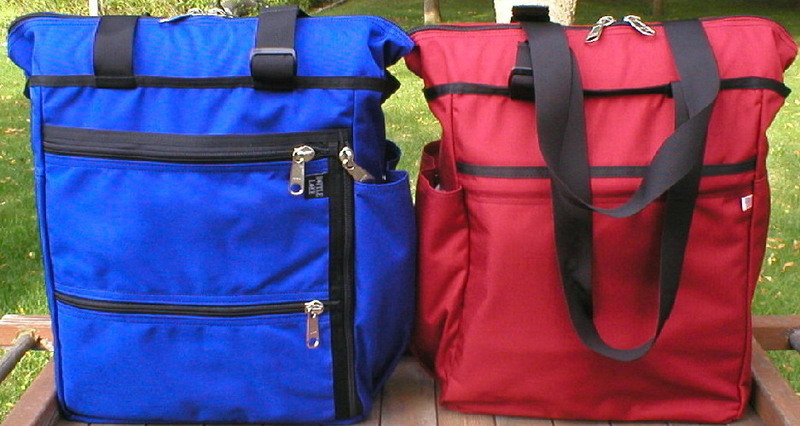 Lower, boot compartment is padded on the bottom and has a zipper on three sides. 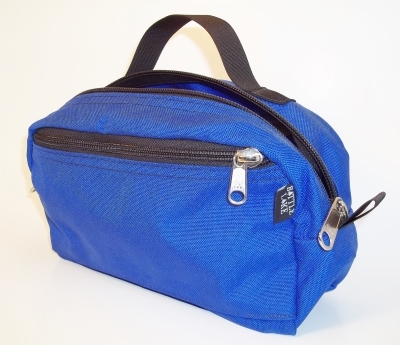 2” Wide detachable shoulder strap with a non-slip shoulder pad. Two end pockets. Back, zippered, flat, mesh pocket. Hook and loop palm pad. End haul loops. Ballistics Cloth bottom for abrasion resistance. 1000 Denier Cordura outer. 500 Denier Cordura lining. 1650 Denier Ballistics Cloth bottom. #10, #9 and #8 heavy duty YKK Zippers. Taped and double stitched seams. Reinforced stress points. Nylon webbing. 3/8” high-density foam. 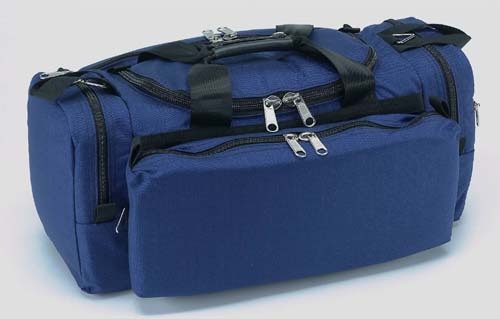 Main Compartment: Height – 10.25"; Width - 13"; Length - 18"
Bottom Compartment: Height – 6.25"; Width - 13"; Length - 18"
End Pockets: Height – 10.25"; Width - 13"; Depth - 3"
Good bag and better than expected. Large enough for a helmet ..